We have compiled answers to the most frequently asked questions. Below you will find two lists. The first is of general photography questions. The second list is of photography business questions. What's the difference between a workshop and a seminar? A seminar is all talk no action! A workshop is some talk, some action. There is more information shared in a seminar and workshops are hands-on! 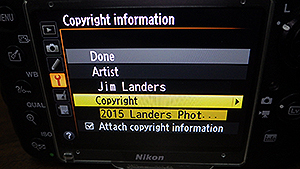 Don’t forget to update your copyright notice in cameras, Photoshop and Lightroom!! 4. 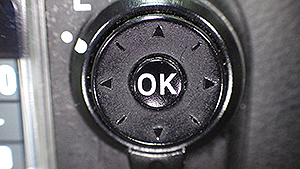 Using the down arrow of the “OK” button, go down to “Copyright”. 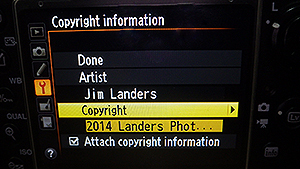 If you have nothing there, add in your copyright info now! Note: if you skip this step, it will not change the date! 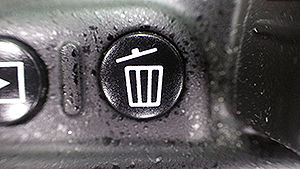 Just “engage” your camera by lightly tapping on the shutter release and you are ready to make this your best year ever! Besides a camera, what is the greatest asset a photographer should have? I need to give you two: determination with a positive attitude and true internal need to give people what they envision. Does the camera make the photographer or is good photography possible with lower quality devices, such as disposable cameras? Knowing your equipment is the key. I read an article about two years ago about a photographer in California who uses only disposable cameras!!! He only photographs Weddings and has only one price: $5000 . And he is booked for over one year in advance! I don't think anyone else can get away with that. Knowing your camera very well (knowing what it is capable of) is the key to taking beautiful pictures. How do you get your clients to accept your interpretation of what you want? I don't. I sit down with them and find out what they want. Then I give it to them. Do you seriously consider the wants of your clients, or do you do your best to give them what they don't know they want? That's a great question! I absolutely want to hear their wants, of course I hear their wants through my point of view as a professional photographer. Many times when someone is considering my services its the first time they have ever done what they are doing (Wedding, business event, etc). So I know that they don't know everything. They have a million things that they do, and knowledge of photography isn't one of them, so they describe what they want and I interpret it and make suggestions. Working together we find exactly what they want. Is there such a thing as someone's "good" side? :) Sometimes! Many people do believe this, and sometimes they are right. Because of hair styles, especially long hair, often the "good side" to the photographer is the side that shows more of the face. But you can change the look of someone's face based on how you allow the light and shadow detail to hit it. So you can make what they consider to be their "bad side" very beautiful, if you know what you are doing. Do you ever catch yourself needing to take a picture of something random that you see in everyday life? :) My parents would definitely have a story or two to tell you about that! We would be out on our family vacation (always a road trip) and I would see something that I just HAD TO take a photograph of; I would tell them that we had to stop -a lot of times they did!!! That feeling still happens, luckily I don't have to convince anyone to stop the car anymore! What settings would you suggest using for indoor action shots, such as at a rodeo in an indoor arena? I will be using a Nikon D-40 w/ a 18-55mm and 55-200mm lens. Even though your eyes can see things very well, your camera doesn't have a brain to interpret the info, so to the camera you do not have enough light. I would only shoot in manual mode in these situations. So you will want to: 1. 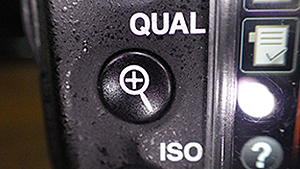 Choose an ISO of 400 - 800 (you can go to a higher ISO if necessary but, you will increase the size of the grain and you will see digital artifacts (little pixels that are completely the wrong color - like a neon green in the middle of a black shirt) 2. As slow a shutter speed as possible that will still stop the motion (easier said than done, because the bull is moving very fast) so probably 250th of a second. And for the concert a 60th of a second. You should play with it but unless you want to show motion you don't want to go below a 30th of a second unless you are able to get really close (like on stage) and use a flash to stop the motion and a little more light (called dragging the shutter with a rear sync). 3. Open up your aperture all the way. 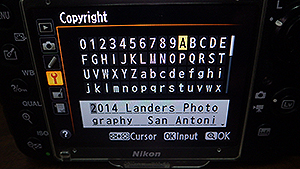 I don't know what is available to you on those two lenses, but whatever the lowest number f-stop you have, use it. This will mean a shallow depth of field and an increased probability that you get an out of focus image, but you need the light! 4. Take a lot of photographs. For sure, most will not be what you wanted, do take a lot and maybe you'll end up with a few that you really like! 5. Use a tripod. Especially if you are going to be using your 55-200 telephoto zoom lens. What guidelines should I follow while making decisions about purchasing lighting equipment and other professional photography equipment? The main thing of importance is to "know your equipment". You DO NOT have to have the best equipment in the world to take great photographs (although the more you learn the more you want that great equipment!). Use what you have and grow your equipment as you can without going into debt. Be persistent. 1. Make a list of your "wants" include their cost. 4. Sooner than you think your list will have check marks all over it and you will be adding new things to the list! How would you weigh the value of a degree in photography, compared to being self taught and/or attending seminars, etc., when it comes to having your own photography business? I have Bachelor of Science in Photography from a great school. Now, its great for teaching - I have taught one-on-one photography classes for the last ten years. But I recommend to my students (that are planning on also taking college classes) to major in business and/or marketing, not photography. You might be the best photographer in the world, but if you cannot run a business, you will have to have a full-time job to support your photography habit! You also asked about seminars; Take seminars at every chance you get (I enjoy them!) - they are not always what you expect, but it is something that you should invest your time and money into. Some are free or very inexpensive - like my once-a-month photography club -its only $10/meeting!!! (ask me about it). What is your opinion on file type: RAW or jpg? A photographer acquaintance of mine says "DO NOT SHOOT JPG". Well I don't agree with that philosophy because I am reluctant to say that one of the tools in my "photography toolbox" is a bad tool and should "NOT" be used. - RAW requires extra steps to process before the images are in a usable format. 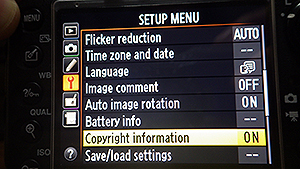 (you could remedy this by shooting in both RAW and jpg mode - yes, that means two image files one jpg one RAW for the same exact image. 2. If you are photographing an event that requires you to get the images to the client immediately. Just yesterday I photographed an awards luncheon event that needed the images immediately following for their website and other PR promotions. As soon as the event was completed I burned the images to a CD and gave it to them within 10 minutes of the end of the event -not possible with RAW because your clients cannot use the RAW format. 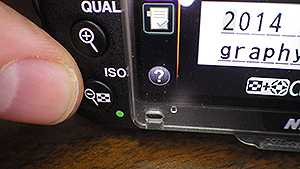 Note: shooting in jpg REQUIRES the you get the right exposure (for you old-timers its kind of like slides - there is little room for error -about a third of a stop) because even if you have the opportunity to "fix them in Photoshop" you degrade the images when correcting for exposure. 1. The RAW file collects all available information: a jpg image has one purpose only: to make the image size smaller, that's it. So it has to throw out pixels and other data to make that possible. 2. You have more leeway (more control) in exposure, color balance, saturation, etc. 3. Saving a RAW file, even multple saves, does not degrade the image. I have a saying, "Never double-save a jpg". When doing re-touching (I call it "artwork") you must save as a tiff or PSD so that the algorithm of the jpg does not degrade the image. 4. You want an image file that your clients cannot use! This is an advantage is this world where everybody thinks they are a photographer because most of them have no clue what to do with it. Summary: The RAW file is by far the superior initial image file type, but there lots of image file types and they all have instances where they are the best for a particular purpose. Is it difficult to become a successful photographer considering the staggering competition? NO WAY. It does take a lot of time and effort, but what doesn't? A successful photographer plans his work and works his plan. The only competition is with yourself, there's enough business out there, you just have to find it. :) Don't get me wrong, there certainly is a lot of talent out there, but 90% won't last five years. -They have no plan or they have strayed to far from it. If you can persevere for five years then you should be able to keep on going as long as you like! It doesn't mean that you won't hit rough spots -I can guarantee that you will, just know that you CAN get past them, if you choose to. -And, YES, it is your choice. What kind of independent work do you do outside of your studio? The majority of my work is outside the studio! Events (businesses, individuals, organizations, holiday [Santa pictures], etc), Weddings, portraits (on-location), and lots more. How does a struggling economy affect your business and what do you do to help your business through the uncertain times? I sell emotion through the use of a camera. My clients hire me because I desire to understand their relationships, their love, and their emotional attachment to their loved ones. They are not hiring a paper-reseller- I’m not selling paper - they are hiring me because of what I create to put on the paper. A one dollar bill and a one hundred dollar bill are essentially the same - green ink on white paper. It’s not the paper that causes them to be valued differently; it’s what’s on the paper. People are going to continue to get married, they are going to continue to have families, and they are going to continue to be emotionally attached to those they love. The economy has nothing to do with this relationship. Unlike any short-term downturn or upturn in the economy, what I sell is long term, not short term. What are some simple steps I can follow to get started in marketing with limited time and resources? Would you recommend classified ads or are there free options available? Definitely drop the classified add -if you needed to hire a photographer would you grab the paper and search through the classifieds? There are plenty of free ads available on the internet so begin there. example: "Craigslist.com"
Then get on Google, do a search on free ads and go wild! - Next build a database that includes email addresses of all of you friends and family. - Then go to "ConstantContact.com" and sign up for the free trial (its free for up to 100 entries in your database - just don't put more in or you will pay for it right off the bat). - Design an email ad and send it out. Next: If you haven't already, BUILD A WEBSITE! Even if its simple, do not put this off. Want a free option? (there are lots) Here's a really easy one: Go to here then click on FREE WEBSITE OFFER (you will see it in the list on the left side of the page) -its not the prettiest website, but its SO easy, its free, and you can get a domain name too! Now once you are done with the above steps, business won't happen immediately, so go and visit some photographers and get some ideas, ask them questions (I know you know how to do that!). 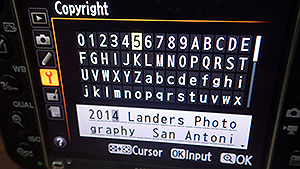 Go to all "top ten" San Antonio Photographers in both Google and Yahoo. Write down the name of each company and their web address, what they do (Weddings, portraits, etc), what you like about what they are doing. Later once you are bringing in some money, you can use the best ideas and "one-up" them. This is the beginning of your web presence marketing plan. Keep all of your compiled information in ONE place. Categorize it for easy access later. This is a HOME for all of your photography thoughts. If someone says they "will call you back", make a note to yourself to call them back after that period of time that they say. People are busy, they aren't lying when they don't call back. But they sure do appreciate it when they know that you were thinking about them. I have made a lot of sales from people who did not call me back!